Speaking to VideoGamer at E3, Patrick Soderlund, Senior Vice President of EA Games Europe confirmed that a ‘small team’ at DICE is currently working on Mirror’s Edge 2. Soderlund’s comments are the first confirmation that a sequel to the parkour-inspired action adventure game is in development. Additional details or a possible release date were not forthcoming. US video game giant Electronic Arts announced Sunday it was ending a bitter seven-month battle to acquire “Grand Theft Auto” maker Take-Two Interactive. “While EA continues to have a high regard for Take-Two’s creative teams and products, after careful consideration, including a management presentation and review of other due diligence materials … EA has decided not to make a proposal to acquire Take-Two and has terminated discussions with Take-Two,” the California firm said in a statement. The announcement ended months of wrangling over the two video game giants that began with a hostile EA bid in February that later morphed into friendly takeover discussions. EA let pass an August 18 deadline on an offer to buy Take-Two stock at a price of 25.74 dollars per share, and the firms entered into “confidential” discussions in which Take-Two is to argue that it is worth more money. The US Federal Trade Commission last month ended its review of a potential tie-up between EA and Take-Two, clearing away a regulatory hurdle to such a deal. Since Take-Two first rejected EA’s offer in February, the takeover target has released hot-selling “Grand Theft Auto IV” and announced a deal to make a film based on its popular “Bioshock” videogame. Take-Two has been touting new titles slated for release in the coming year. “We remain focused on creating value for our stockholders and our consumers,” Strauss Zelnick, chairman of New York-based Take-Two, said after the EA announcement. EA, the world’s largest video game maker, had been trying to get its hands on GTA, one of the most popular computer games on the market, but also among the most controversial because of its violent nature in which players score points with acts such as carjacking and killing prostitutes or police officers. Saw the Spore advert on your road? If you’re a video game fan, you are probably quite aware that Electronic Arts’ evolution game Spore is just days away from launch. You’ve played with the Creature Creator, you’ve read the stories, you’ve watched the videos. Maybe you’ve even had a chance to see Spore‘s creator, Will Wright, give one of his famous talks on the subject. But if you’re not a gamer, you might not have any idea what Spore is. Until now, that is. So far, this is the first advertising for the game that I’ve seen in public. But I can only assume it’s just the beginning of what will be a very large ad campaign. After all, EA has a ton invested in the game, and the stakes are high, both for the company and for Wright, the highly regarded designer behind SimCity and The Sims among others. 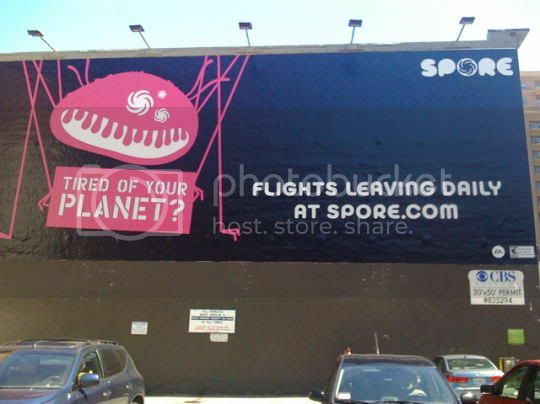 And while I’m sure I’m a couple days behind on this–I was out of the office since last week–I haven’t heard any other talk about Spore billboards, so it caught me by surprise, especially since I’ve been following the progress of the game so closely and also since the billboard is just feet from my office. Either way, I’ll be very interested to see how this presumed ad blitz takes shape: Will there be TV ads? Big glossy spreads in magazines? An alternate-reality game? If you happen to run across something interesting, please do consider dropping me a note. I’d love to hear about it. Electronic Arts announced Need for Speed Undercover, the latest title in the Need for Speed franchise, is to be released on Nov 21st in Europe, and Nov 18th in the US. The game is claimed to be taking NFS back to it’s roots by re-introducing intense cop chases, the world’s hottest cars and and spectecular highway battles. Maggie Q, of Mission Impossible III and Live Free or Die Hard fame, is to play Federal Agent Chase Linh within the game, a seductive handler who recruits and guides players as they go undercover. 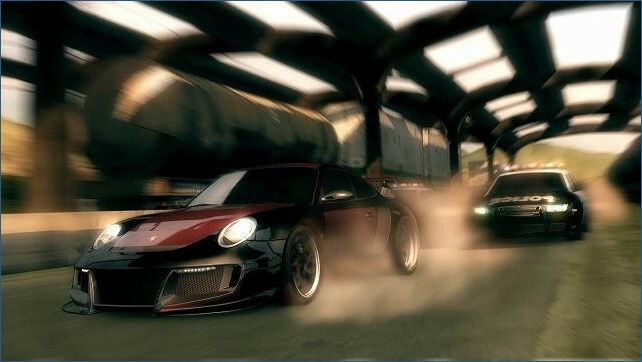 Need for Speed Undercover is being developed by Black Box and will be available for Xbox 360, PLAYSTATION 2&3, Wii, Nintendo DS, PSP, PC and mobile phone. Electronic Arts has announced that the third installation of The Sims, that game that rivals World of Warcraft in the “I got so addicted my boss almost fired me” department, will be debuting on February 20, 2009. New to The Sims 3 are more advanced customization features (including personality traits like kleptomania, paranoia, and clumsiness) and smarter “neighborhoods” that can more extensively affect the outcome of the game. In addition to The Sims 3, EA will also be releasing a “collector’s edition” with a number of bonus features–including an in-game Italian sports car.